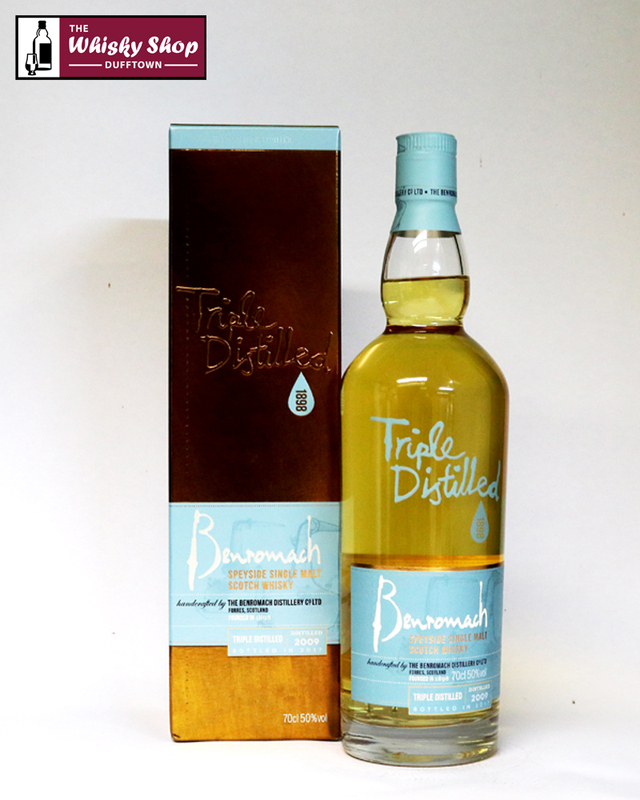 This Benromach was matured in first fill ex-Bourbon casks and triple distilled to make it distinctly light and delicate. Distillery: Without water after a few inhalations you may detect strawberry, elderflower and sweet vanilla mingling with orange citrus. With water sweet and fruity with subtle floral notes. You may discern delicious undertones of orange citrus and vanilla. 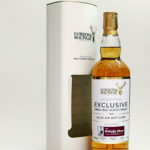 Distillery: Without water roll it around your mouth and savour the creamy malt, touch of white pepper and hints of zingy lime zest, sweet vanilla and toasted oak beautifully balanced with rich dark chocolate and smoky bonfire embers. With water, the smooth and sweet body has an elegant, delicate flavour, with a touch of cracked black pepper, fresh grapefruit and lime citrus and a hint of oak and bonfire embers, leading to a luscious long and fruity finish with a lingering edge of smoke.